Can someone please contact this guy to update his rust fork? @roytam1 is it possible to link missing api against a 3rd party dll not against system dll? If so I can write a dll for missing api. No you can't. You can bundle VC runtime DLLs in firefox.exe(or in other exe name) folder instead. However, it works with the VC 2015 Runtime installed. do you have api-ms-win-crt-string-l1-1-0.dll and ucrtbase.dll in your folder? I tried updating but no go. See the updated version below. You can download a zip file with the first 38 screen captures. I will get more later. Thanks. 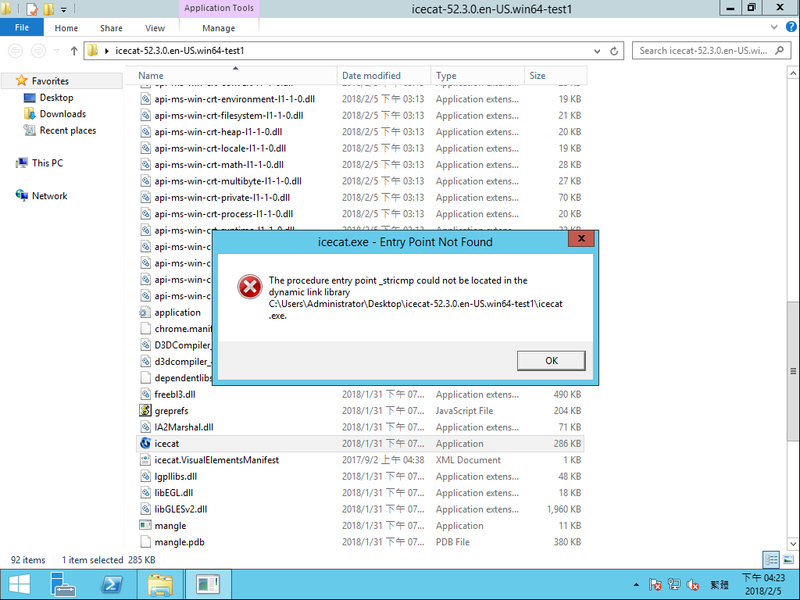 Just missed the ucrtbase.dll. Thank you very much! How do you do? Russian hackers users report in. There're two bugs in both XP-mods of PaleMoon: browser.showQuitWarning isn't working (fixed by Feodor2 now) and youtube video freezes at 25:21 (just push "Play" and wait for this timecode). I don't know, maybe these are known bugs. You mean Exit Warning only or both of bugs? "Quit.warning" FF bug is quite old, I don't know why it still not fixed. As for YouTube-Freeze "feature" which was found about a year ago, here're my last tests: it works fine with last official XP version (26.5.0 Atom/WinXp, vp8/vorbis 360p) and Feodor2's mod v27.2.0a1 + LAV-splitter (vp9/opus 720p). Also, Feodor2 wrote that there're no freezings in Windows 7.
freeze issue even happens in Feodor2's builds and Firefox ESR builds here. Notice: No build in next week due to lunar new year vacation.